and their families is deeply rooted in our company values. As a family-owned business, we understand that family is the core value of our success. We recognize and celebrate our employees’ special life moments and support them through difficult times. Find beverage industry jobs, like beer reps and wine sales roles, or discover other positions. 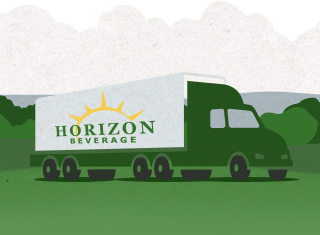 Horizon Beverage Group provides benefits, support programs, resources and expertise to help employees live healthier and safer lives — at work, at home and on the road. Horizon Beverage Group offers our employees the opportunity to choose from a variety of flexible benefit plans designed to meet individual and family needs. Horizon Beverage is committed to helping employees manage their money and save for the future through a 401(k) savings plan. Ready to apply for beer reps, wine sales or other beverage industry jobs? Search now. Horizon Beverage Group is an Equal Employment Opportunity Employer providing opportunities for career growth and development. Email jobs@horizonbeverage.com for additional career opportunity information. *The information on this website offers only a brief overview of the benefit plans available to Horizon Beverage Group employees. A description of the benefit provisions, conditions and limitations is provided to employees in the Benefits Summary book. Plans having these programs and features also have exclusions, limitations, reductions of benefits and terms under which the plans and policies may be continued in force or discontinued. In the event of a conflict between this website and the plan documents or policies, the plan documents or policies will govern. The Company has the right to amend or terminate these benefits at any time.